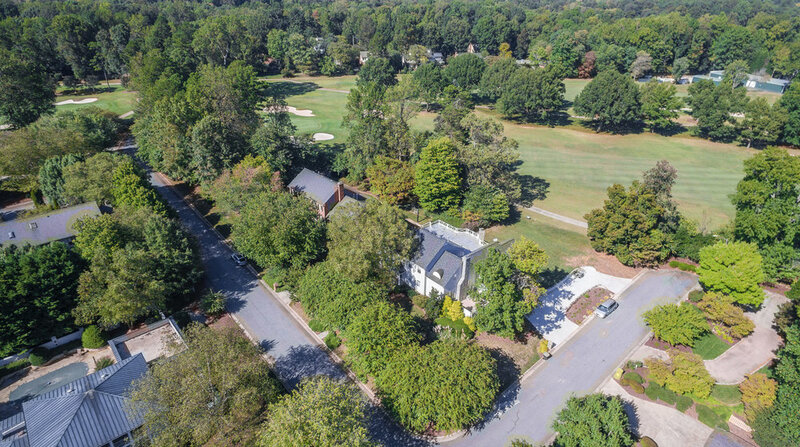 I was recently given the opportunity to photograph a home that was located on a local golf course in Greensboro, NC and what a pleasure it was! Let me take you on a quick tour of the home and all it had to offer. First, let's talk about the first floor. The sitting room as perfectly designed and organized to show the open space. It connected to the dinner room with a beautiful stained glass accent window that really gave the room some unique charm. From the dining room, you can see the beautiful chefs kitchen complete with granite and butcher block countertops, as well as a small dining area and wine room. From there, you are able to see the living room with great windows and a beautiful fireplace. Next, was the master bedroom complete with its own private patio and beautiful bathroom with separate dual sinks. On the second floor it came with with three additional bedrooms and laundry room. On the third floor was a great billiards room with a separate sitting area. This would be a great space for any party! Lastly, I went outside and captured some exterior ground and drone photography which is always fun to capture. It was great to photograph this one and as always, tons of fun!